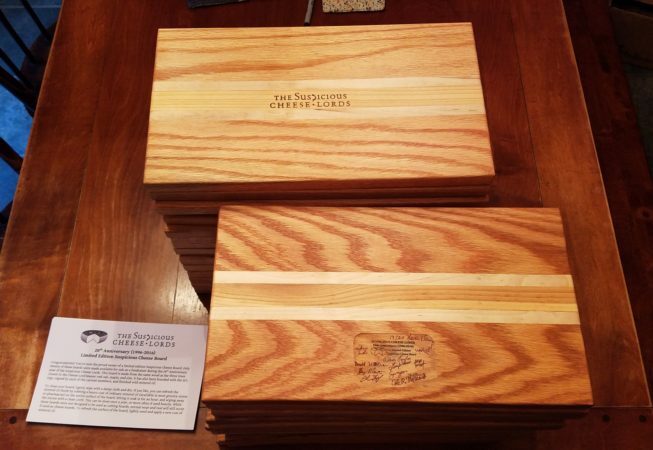 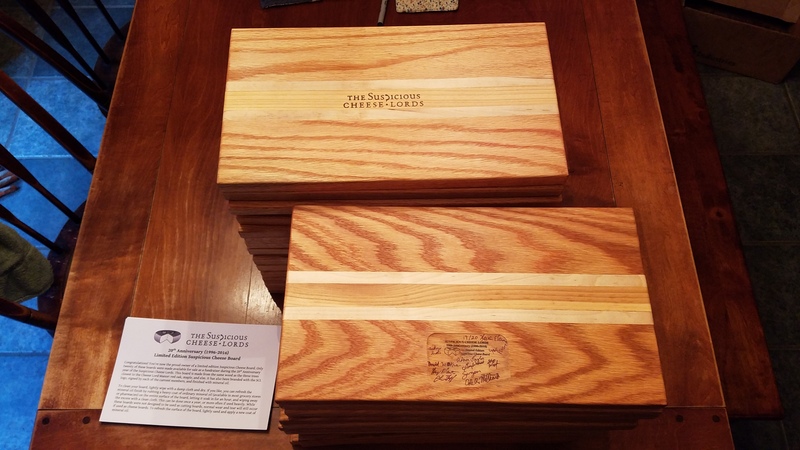 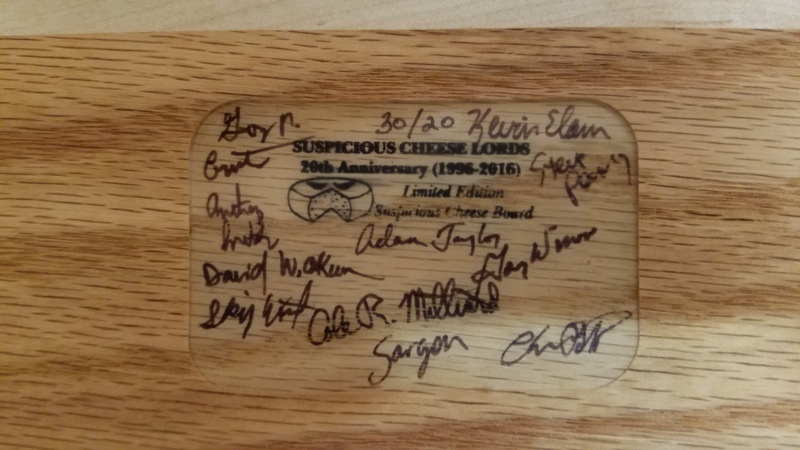 These cheese boards mark the 20th anniversary of the Suspicious Cheese Lords, a Washington, DC-based all male choir specializing in obscure and unknown Renaissance polyphony. 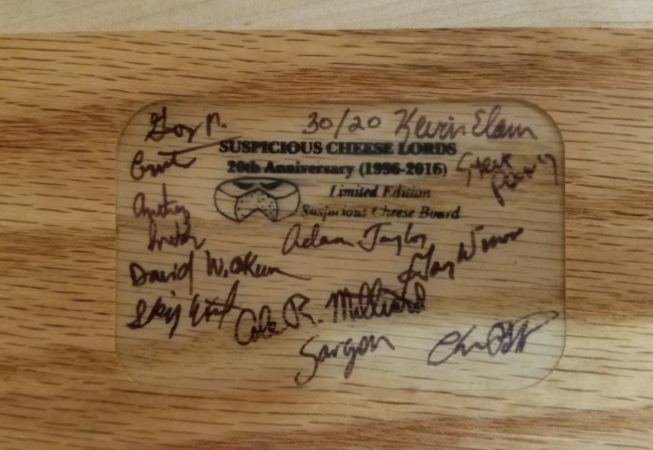 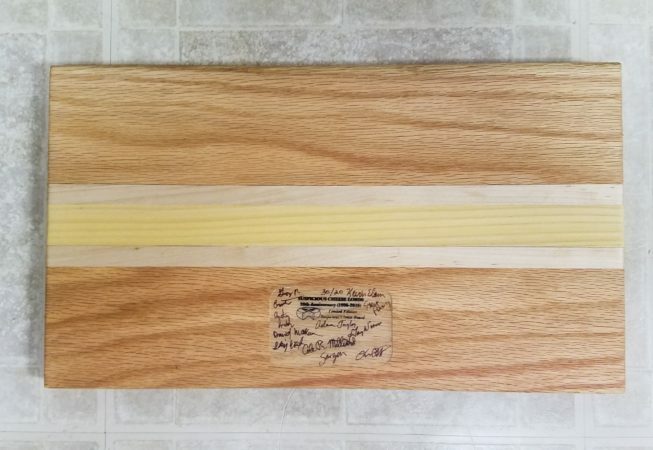 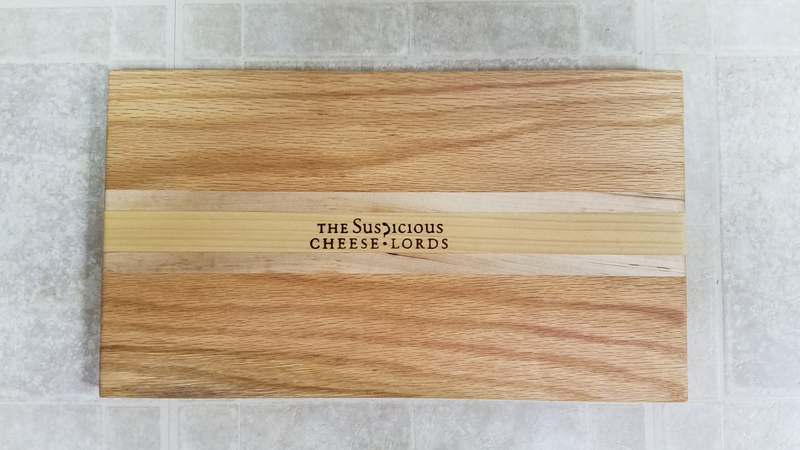 They requested a limited edition run of 20 “Suspicious Cheese Boards” to sell as a fundraiser, plus 11 additional boards for the current members of the group. 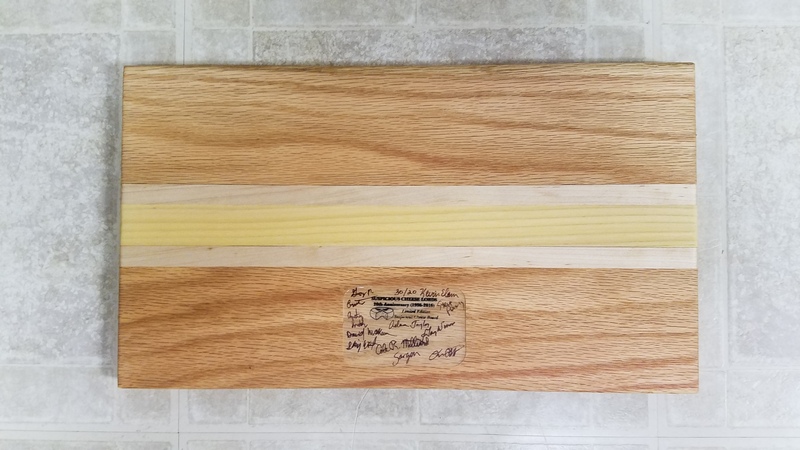 On the front, the boards are branded with a custom branding iron from Gearheart Industry; on the back, all 11 current Lords signed inside a small recess which was then filled with epoxy. 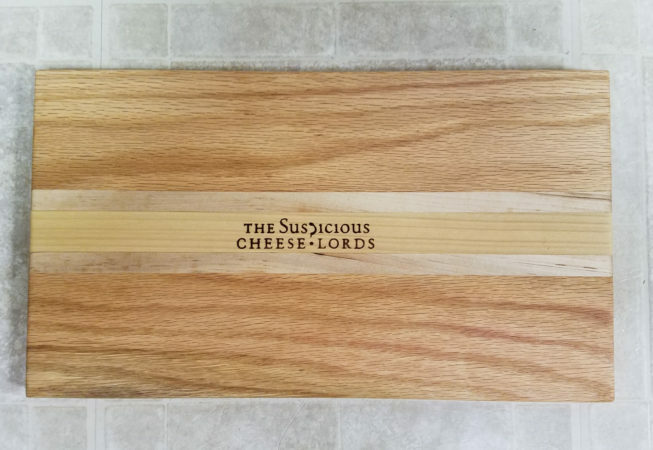 In addition, the woods used are (from outside in) oak, maple, and elm, which are the three trees closest to the Cheese Lord Manor where the group rehearses every Wednesday night.